The weather agency says all parts of the country are seeing "bad" levels of fine dust on Friday, with the dust density ranging from 36 to 75 micrograms per cubic meter. 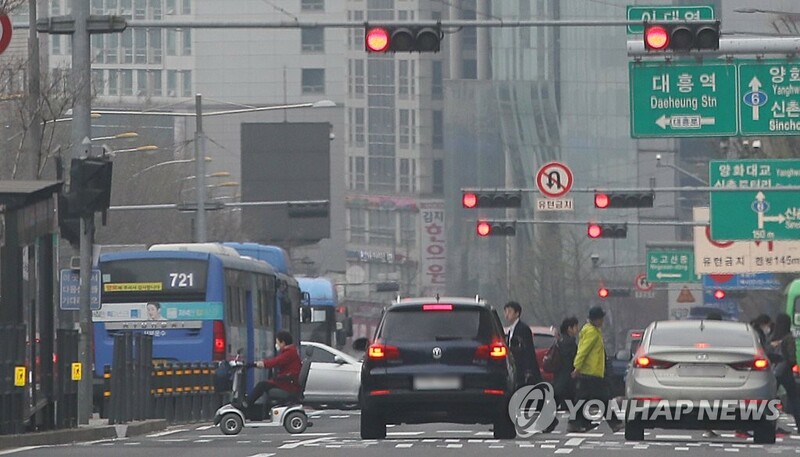 The Korea Meteorological Administration said the heavy concentration of fine dust could hit "very bad" levels which have a reading above 76 micrograms per cubic meter. Seoul and Jeju are seeing an average of 179 and Daegu 157 micrograms per cubic meter of fine dust. The weather agency blamed the large amount of air pollutants on yellow dust and fine dust sweeping in from China. The weather agency has advised people to pay extra attention to their health as the bout of fine dust continues to spread. Prev :WiFi Access to Become Available on 4,200 City Buses from Sept.